(Natural News) Combining dark chocolates and olive oil could magnify both foods’ beneficial cardiovascular effects, a recent study revealed. As part of the study, a team of researchers conducted a randomized crossover study involving 26 volunteers that exhibited at least three cardiovascular risk factors such as smoking, dyslipidemia (abnormal amount of lipids in the blood), hypertension, or family history of cardiovascular disease. The participants received 40 grams of dark chocolate daily for 28 days. The volunteers consumed dark chocolate containing 10 percent extra virgin olive oil for 14 days. They were also given dark chocolate containing 2.5 percent Panaia red apple for another 14 days. Both chocolates were given in random order. The researchers also observed the participants’ atherosclerosis progression by examining various factors such as lipid profile, blood pressure, metabolic changes, and circulating levels of endothelial progenitor cells (EPC). EPCs are essential in vascular repair and endothelial function. The experts then assessed the volunteers’ urine and blood sample following the intervention. Proton nuclear magnetic resonance spectroscopy was used to examine the urine samples, while flow cytometry was utilized to determine circulating ECPs. The research team found that the olive oil-enriched dark chocolate spurred larger increased EPC concentrations compared to the apple-enriched chocolate at the end of the study. 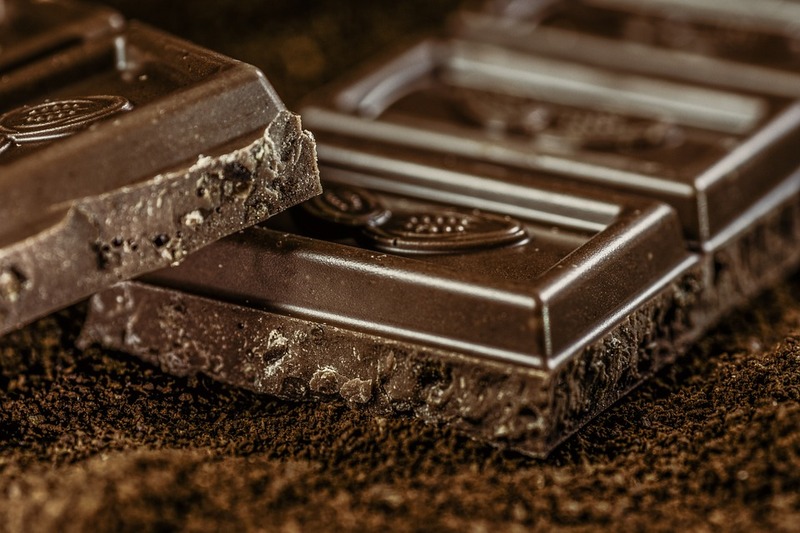 The experts likewise observed a significant decline in carnitine and hippurate levels following the consumption of dark chocolate with olive oil. In addition, the olive oil-enriched chocolate appeared to increase the participant’s good cholesterol levels, while simultaneously reducing their blood pressure rates. “A healthy diet is known to reduce the risk of cardiovascular disease. Fruits and vegetables exert their protective effects through plant polyphenols, which are found in cocoa, olive oil, and apples…We found that small daily portions of dark chocolate with added natural polyphenols from extra virgin olive oil was associated with an improved cardiovascular risk profile. Our study suggests that extra virgin olive oil might be a good food additive to help preserve our ‘repairing cells’, the EPC,” lead author Dr. Rossella Di Stefano told Science Daily online. The findings were presented at the this year’s European Society of Cardiology Congress. The recent findings further established both chocolate’s and olive oil’s cardioprotective benefits, which previous studies have already demonstrated. For instance, Harvard researchers found that eating dark chocolate and other cocoa-containing products may lower the odds of atrial fibrillation. To carry out the study, the research team pooled data from the Danish Diet, Cancer, and Health Study with a total cohort population of more than 55,500. “Our study adds to the accumulating evidence on the health benefits of moderate chocolate intake and highlights the importance of behavioral factors for potentially lowering the risk of arrhythmias…Despite the fact that most of the chocolate consumed by the study participants likely had relatively low concentrations of potentially protective ingredients, we still observed a significant association between eating chocolate and a lower risk of atrial fibrillation — suggesting that even small amounts of cocoa consumption can have a positive health impact,” lead author Elizabeth Mostofsky said in a university release. In another study, Spanish health experts found that following a Mediterranean diet that is high in olive oil helps mitigate the risk of developing cardiovascular diseases by improving the function of good cholesterol. “For people who are interested in reducing their risk of heart disease, the Mediterranean diet is probably the best proven diet to reduce risk. I think the majority of people who don’t have other major dietary concerns should look toward the Mediterranean diet as a heart healthy diet,” out side expert Dr. Daniel Rader wrote in a Reuters article.